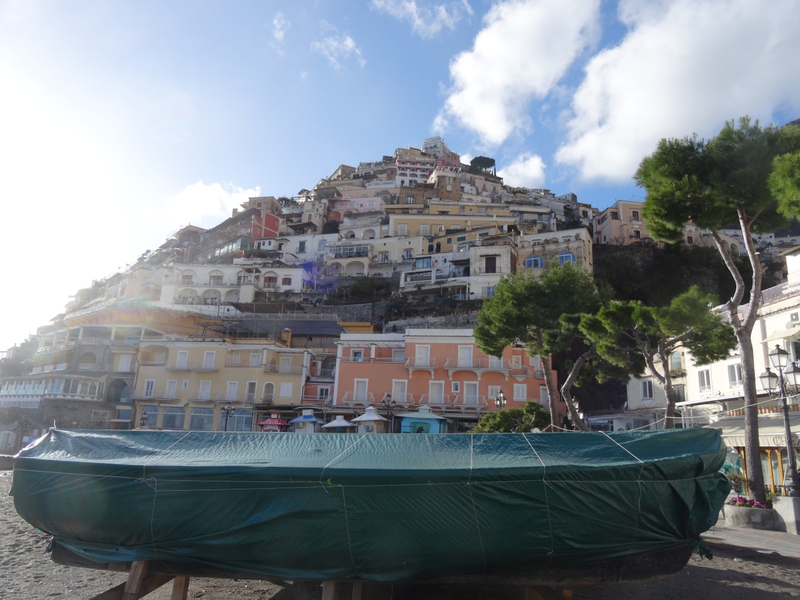 Across the old harbour in Pozzuoli fishermen sorted their nets. 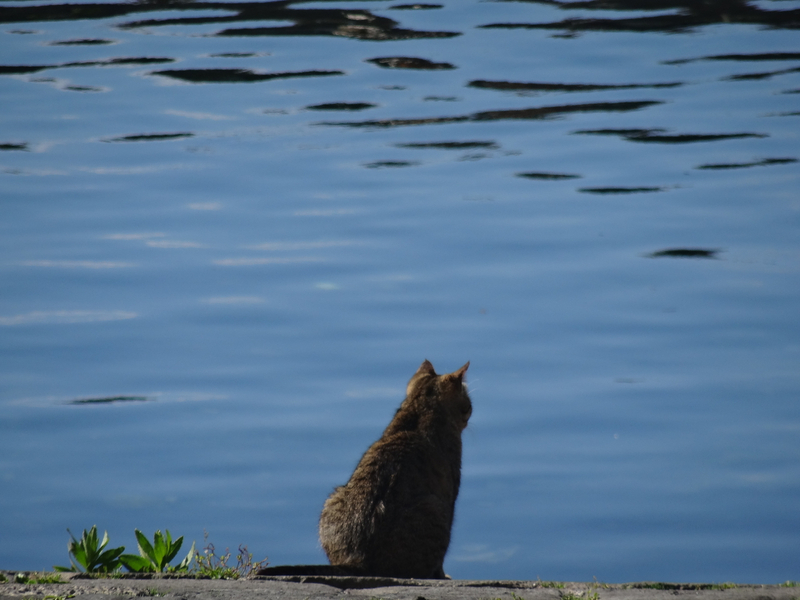 We stood on the far side and watched and waited. 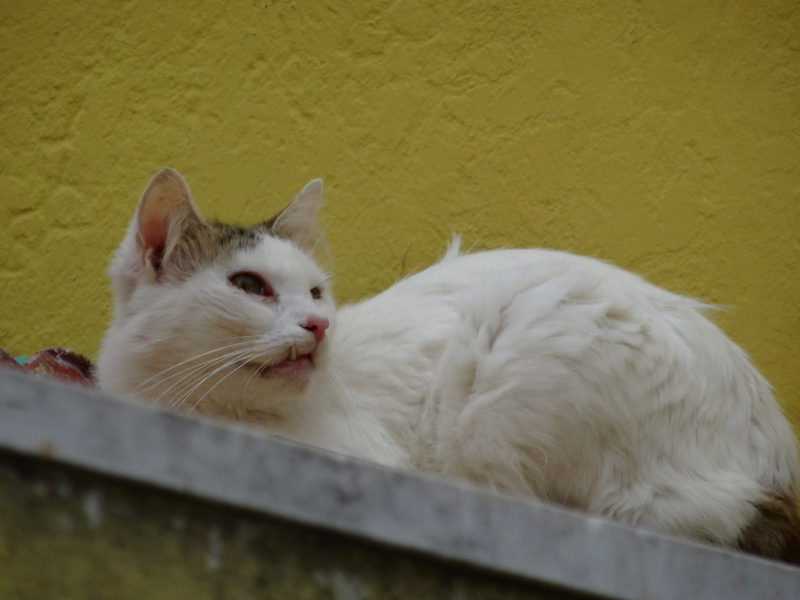 So did this cat. I’d seen the cats here the year before. … ownership without the housework. They knew where they belonged, and they knew from which direction the fish would come. 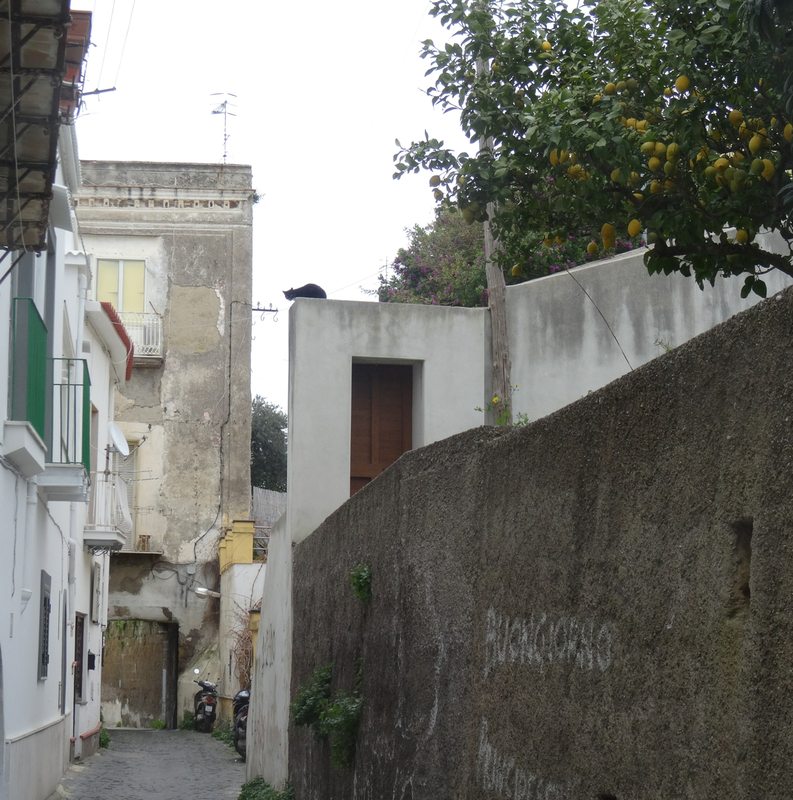 From Pozzuoli we took a short ferry trip across the Tyrrhenian Sea to the island of Procida. The cats were there again. 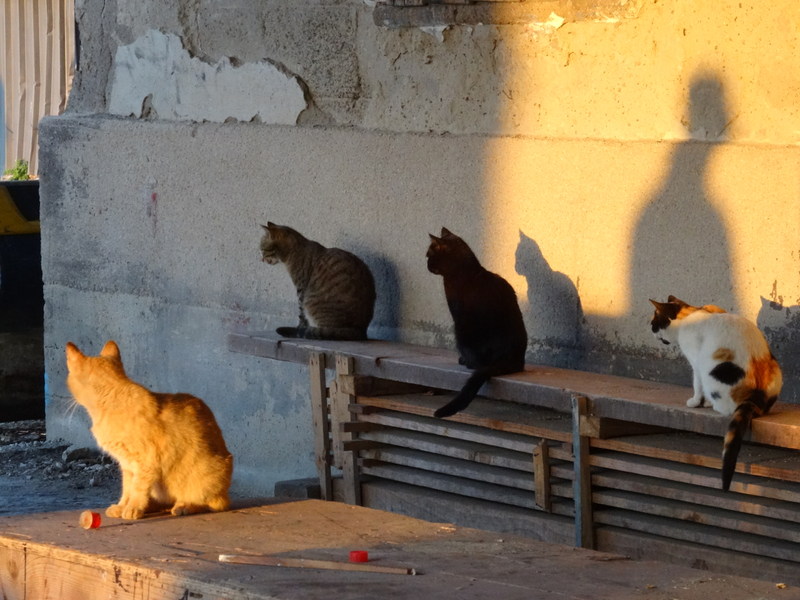 In the centre of the old town they patrolled and watched. They knew their streets – they knew the trespassers. Their inland lives looked edgy. 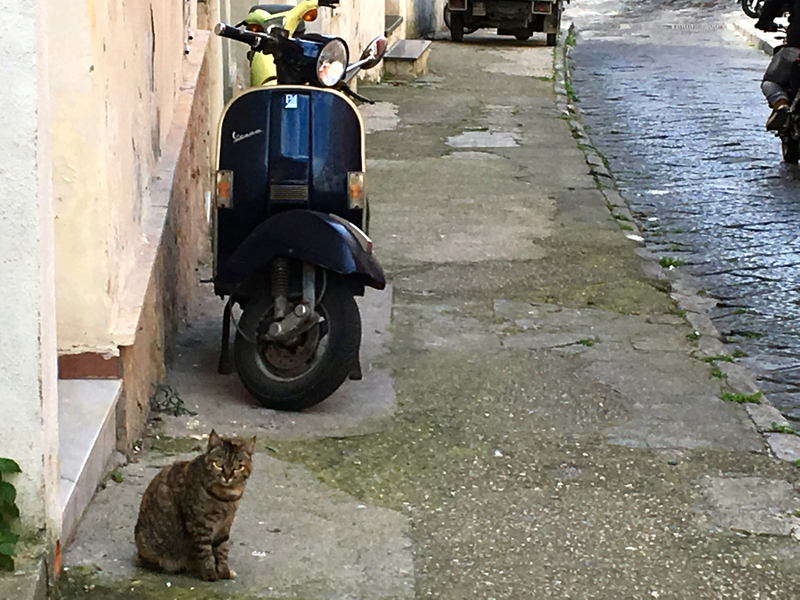 There were scooters, there was noise, and there were rivals … there was no place for an old cat to relax. By the harbour the mood changed. We walked steeps stairs to get there and when we arrived it was quiet. 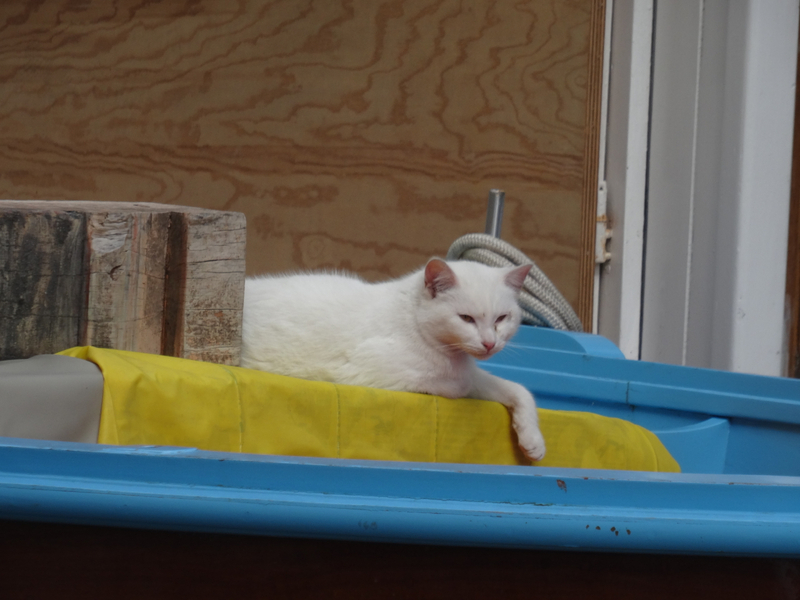 Perhaps that’s the key to a good life for a sea cat – location … not just the fish. 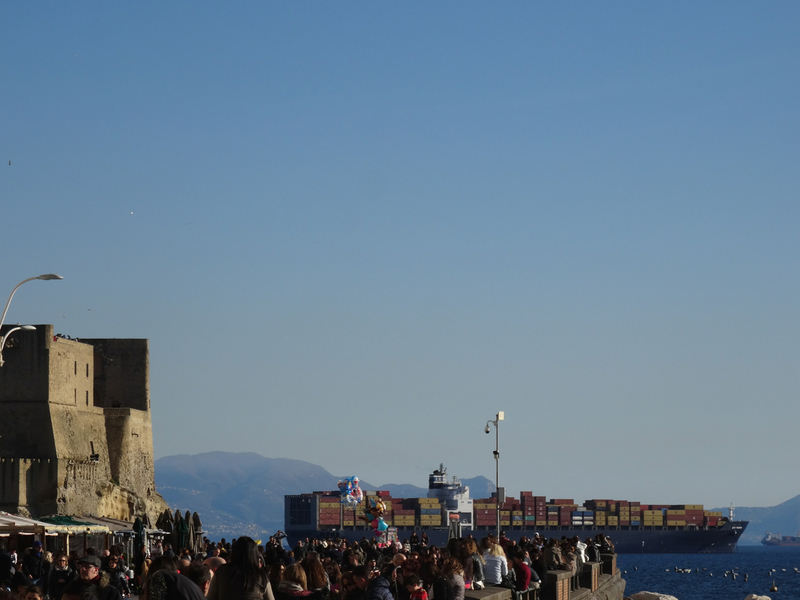 The more awkward the access to the seafront the less traffic and noise there will be. 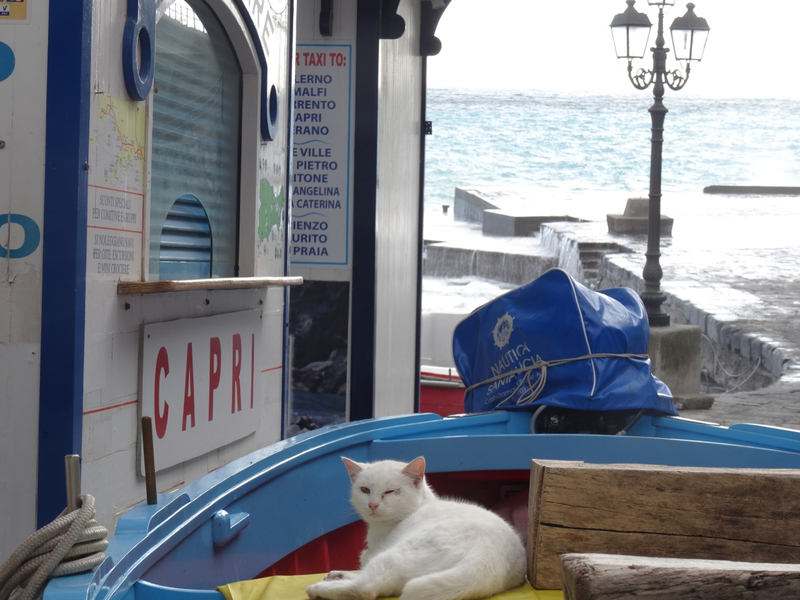 Positano on the Amalfi Coast, for example, shows great promise for cats. It’s steep, exclusive even … perfect. 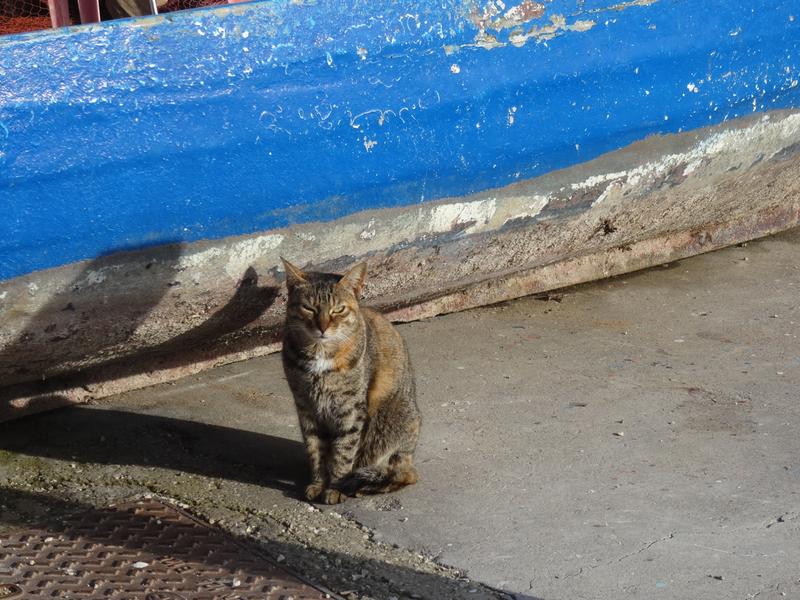 This cat was between the sea and a restaurant. 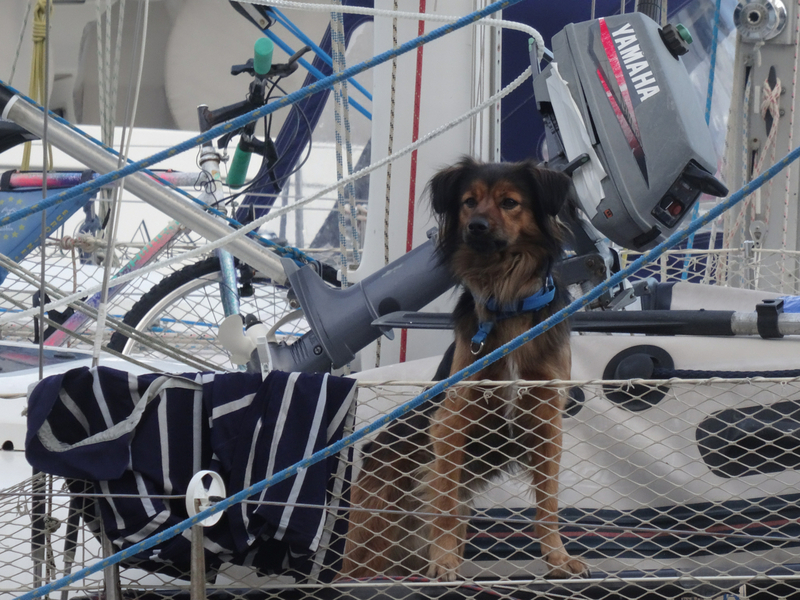 Why go anywhere if your ship has come in? 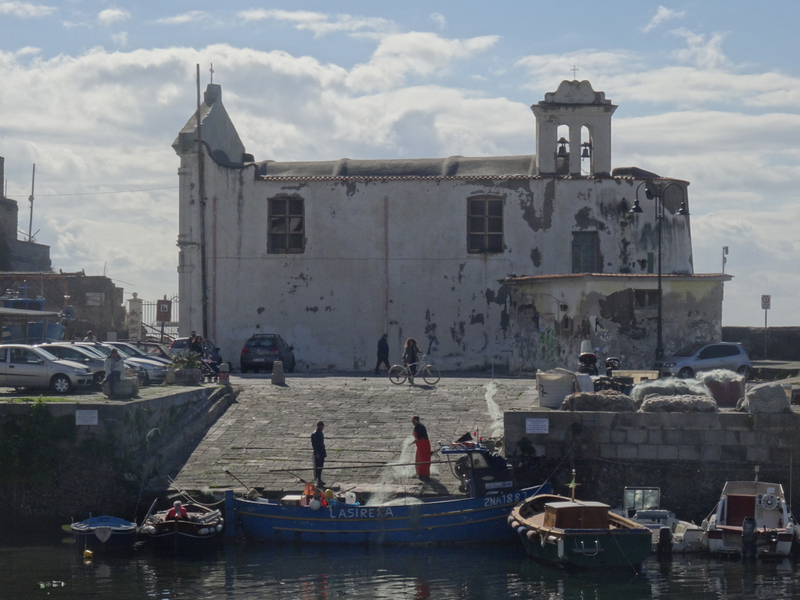 In Naples it’s more complicated. 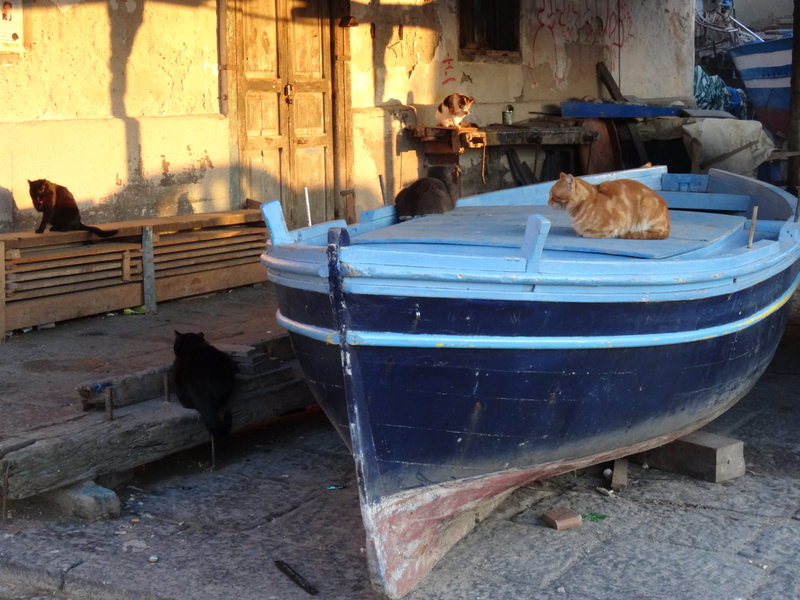 The seafront there is a wide smile, a welcome for everyone, which means there’s more challenge for a sea cat. 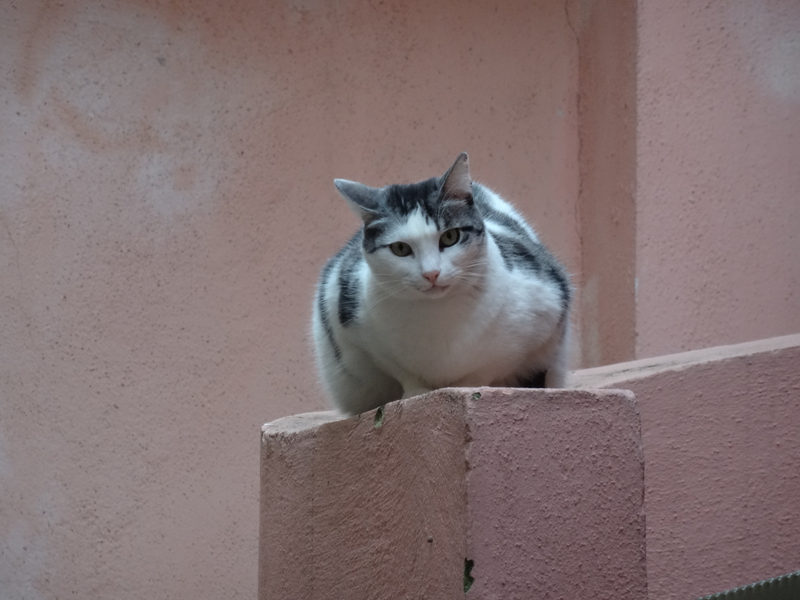 Cats must choose their territories with care. 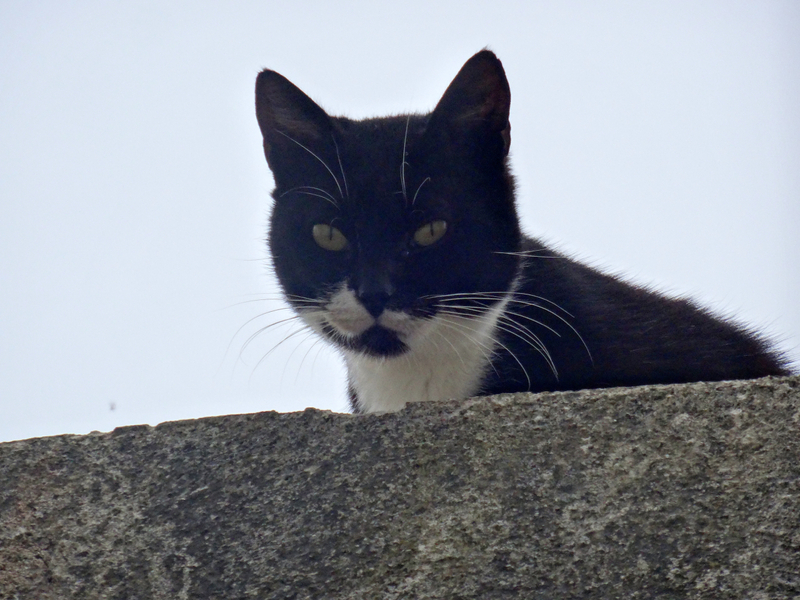 This kitten was by Castel dell’Ovo, between the sea and a wall. He’d found his hiding-place, all he needed was time to learn. 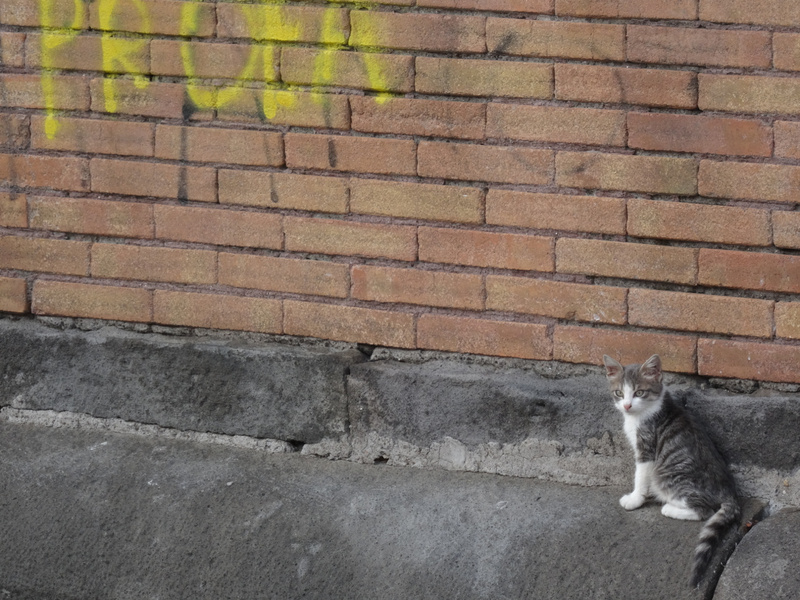 I hope he found it, and a friend, because even Jerry, the master of all cat-trickery, needed help in Naples. 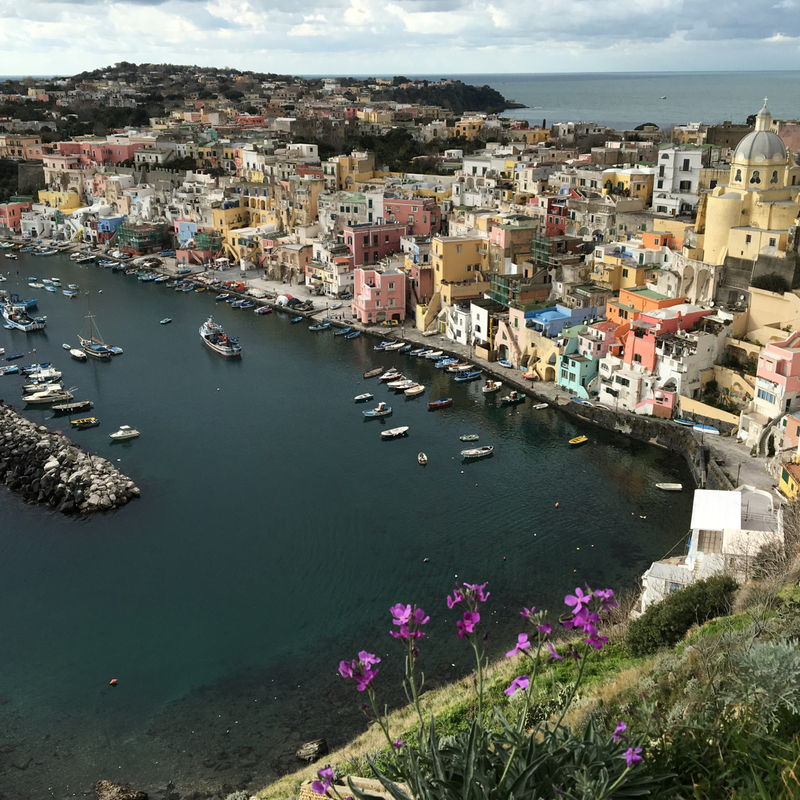 This entry was posted in Bay of Naples, Italy, Other discoveries in the Bay of Naples and tagged Amalfi Coast, fish, Italy, Napoli, Pozzuoli, Procida, Tom and Jerry. Bookmark the permalink. I’m glad I stumbled across your blog. 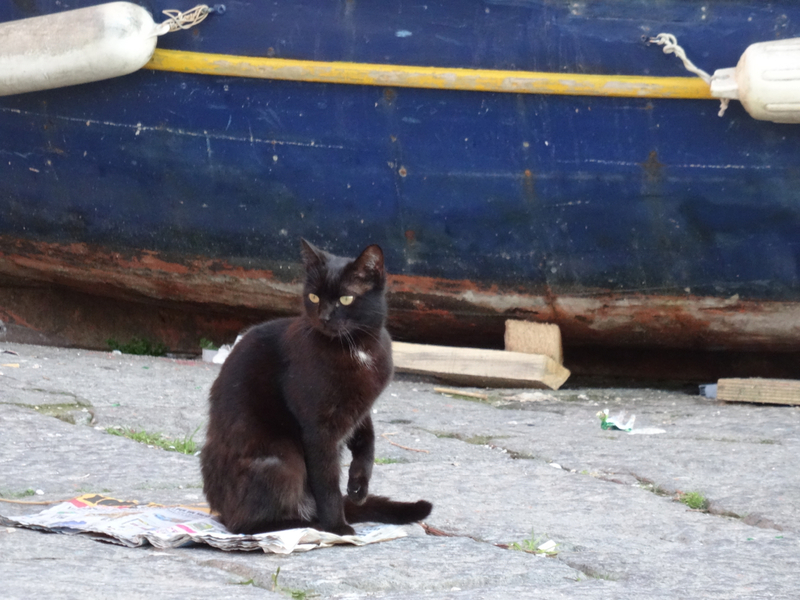 I’m going to Naples next year, I’ll keep my eyes ope for the cats. Thank you, I’ll certainly keep that in mind. I’m really looking forward to a new adventure in Italy. Wow I wouldn’t have expected there to be so many! They’re there – once you start to look you suddenly see them.